Abbreviated as SMO, social media optimization is the process of increasing the awareness of a product, brand or event by using a number of social media outlets and communities to generate viral publicity. It is new approach to word-of-mouth marketing. To draw the attention of massive internet users, who remain logged in social networks round the clock, towards your business. Not only will it assist in increasing the traffic and your site rankings but Social Media marketing is also the best way to develop a more personal/rewarding communication between seller and a buyer. 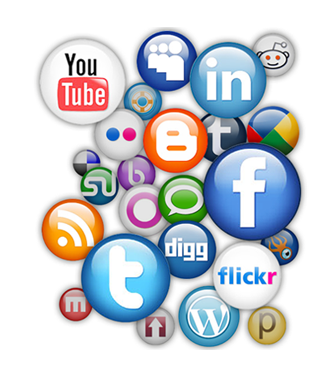 Amtech understand the complexitites of social media optimisation to maximize the potential for your business. Our SMO expert's focus on what social media optimisation services your business requires and not on what we can offer you. We create the buzz and awareness of your business in the respective circle of online communities. We also include RSS feeds, forums and bookmarking sites to improvise the traffic of your website. Formulating customised social marketing campaigns, we build and grow the online reputation of your business/event. And we help you generate awareness, increase sales and grow your businesses with contextual advertising and integrated community engagement tools across the social media. Since Social Media platforms are easily accessible to anyone with internet access. Increased communication for organizations fosters brand awareness and often, improved customer service. Contact us today to explore the potential of social media and reap its benefit for your business.